The researchers studied the neurons in the motor cortex of rats and found that they fall into two groups: "externally focused" neurons that communicate with and control different parts of the body and "internally focused" neurons that only communicate with each other and don't send signals to other parts of the body. The researchers also found that when they increased inhibition of neurons in the motor cortex, the externally focused neurons switched to internally focused. "Alterations in inhibitory signaling are implicated in numerous brain disorders," explained Woodrow Shew, associate professor of physics. "When we increased inhibition in the motor cortex, those neurons responsible for controlling the body become more internally oriented. This means that the signals that are sent to the muscles from the motor cortex might be corrupted by the 'messy' internal signals that are normally not present." Rett syndrome, a rare but severe neurological disorder, is one of the brain disorders associated with an increase in inhibition. Shew plans to further research the implications of these findings for Rett syndrome. 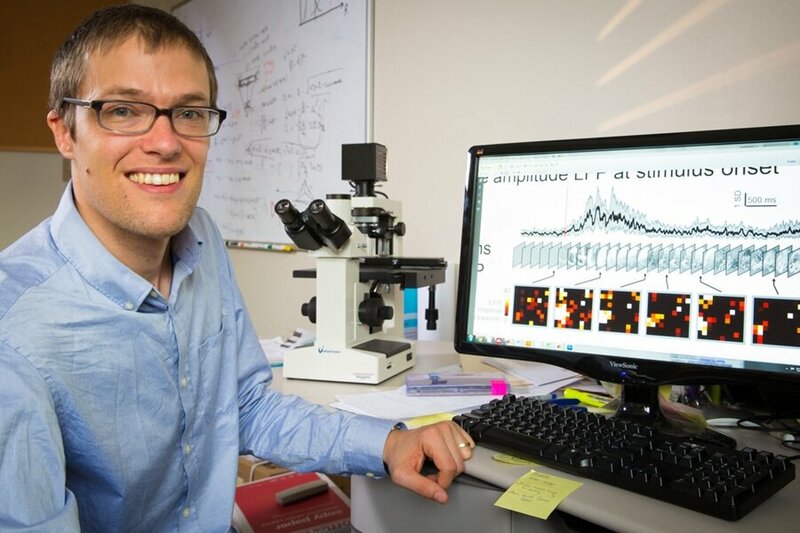 Shew, along with U of A graduate students Patrick Kells, Leila Fakhraei and Jingwen Li and postdoctoral researcher Shree Hair Gautam, published their results in Nature Communications.